I have recently been involved in a joint project between the London International Development Centre and UCL to explore the post-2015 development target-setting area with a particular focus on the sustainable development goal-setting agenda. This project will hopefully result in a number of joint publications. In the meantime, it has given me an opportunity to reflect on global governance in the SDG domain. I have penned some initial thoughts in a paper posted on SSRN, an extract follows. Dr Sarah Hawkes at UCL Institute of Global Health and I have published an article on global health governance and non-communicable diseases in The Conversation. Professor Susan Sell joined us at the UCL Institute of Global Governance (IGG) on 10 June to talk about private authority in global health governance. In our conversation, Susan reflects on the opportunities and challenges which confront public health advocates and the potential for global public law to more effectively hold private actors accountable for health outcomes. 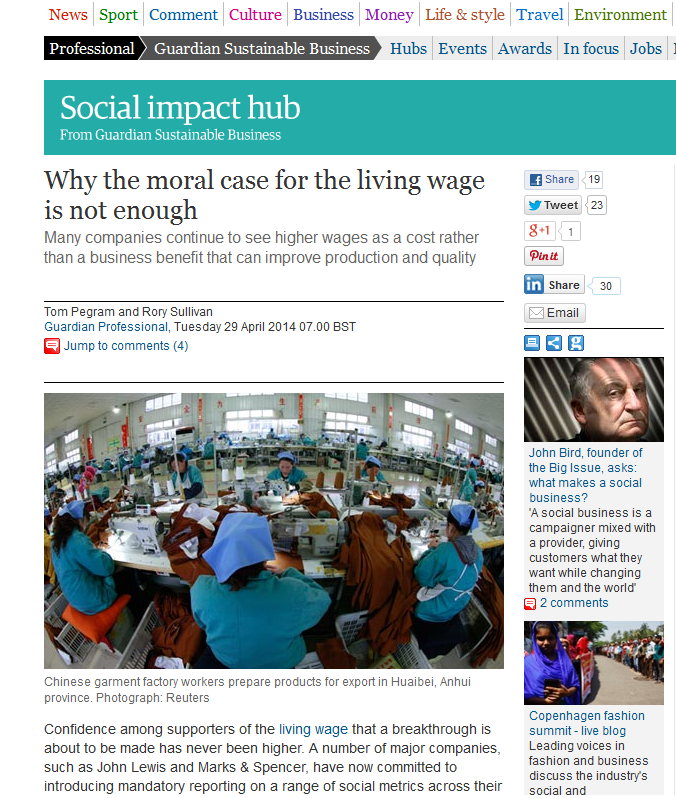 I have published an article in the Guardian on the living wage with Rory Sullivan. This was based on a lively debate we hosted at UCL Institute of Global Governance on 3 April. The article can be found here. What Works in Human Rights Institutions? Is the Paris climate accord worded too flexibly?